Tim Minchin · Matilda earns a full-house of Olivier Award Nominations! 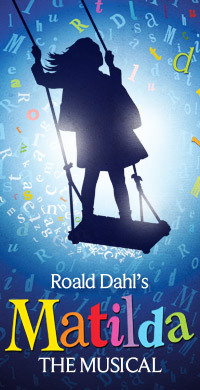 Matilda earns a full-house of Olivier Award Nominations! Matilda the Musical has earned itself a whopping ten nominations for this year’s Laurence Olivier Awards, which is the maximum for which it was eligible, including Best New Musical! The four young actresses playing Matilda – Sophia Kiely, Eleanor Worthington Cox, Kerry Ingram and Cleo Demetriou – are up jointly for Best Actress in a Musical, while Bertie Carvel and Paul Kaye are up for Best Actor in a Musical and Best Performance in a Supporting Role in a Musical, respectively. Other nominations go to Matthew Warchus for Best Director, Rob Howells for Best Set Design and Best Costume Design, Hugh Vanstone for Best Lighting Design, Peter Darling for Best Theatre Choreographer and Simon Baker for Best Sound Design. The Olivier Awards are the UK’s most prestigious theatre awards, recognising excellence in professional theatre in London shows. They’re often considered to be the theatre industry equivalent of the BAFTA Awards or the UK equivalent of Broadway’s Tony Awards. The awards will be handed out on the 15th April, at the Royal Opera House. The ceremony will be broadcasted live on BBC Radio 2 and on the BBC Red Button services – who knows, you might even see a nattily dressed Tim (on the TV, not the radio)! You can view a full list of all the awards and nominees on the Olivier Awards website here. Huge congratulations to Tim and everyone at Matilda the Musical on this phenomenal news! Yes Tim, please make Sydney the next place for your wonderful musical to open. We are all waiting with fingers crossed – there would be a very receptive audience here and we’re sure it would run for ages. Tim!! Bring it to Sydney, Australia!!! Please! Was outraged for a minute there but looks like there is no separate award for music and lyrics, so hope Tim will be up there co-accepting the award for Best New Musical (as it’s sure win!) Afterall music is kinda a big part of any musical! Congratulations!! Tim, bring it to Sydney, Australia please!!!!!!!!!!!!!!! Maybe I should check on what the Olivier Awards categories are…but where is the nomination for best musical score? It is a “Musical” after all….I hope you get the recognition you deserve Tim….